Carlos Calderon went above and beyond after my father passed to make sure we could have our service within a 2-week time frame. We were trying to accommodate a family who was traveling from different states. He coordinated with the Cemetery (which is above and beyond his duties) to make sure the permit was written the way they needed it. He sent me the Death Certificates in a timely manner so I could handle my father’s affairs. When I picked up my father’s Ashes he did not keep me waiting and he handled it in such a professional yet caring and pleasant way. This is our 5th family member who has used Neptune in Sherman Oaks since the 1970s. I highly recommend them as did my father and grandmother before me. Thank you, Carlos, your top notch. Such an easy way to deal with a complex situation. We had Neptune for my Mother, My Aunt, and now my husband who just passed away in Feb. We have received the highest possible service from everyone at The Neptune Society and I would and have recommended them to several friends. Thank you all. Sandra P.
When my sister-in-law died suddenly, she had no health insurance and had made no funeral arrangements. Her adult children, in their 20’s, were grieving and didn’t know what to do. 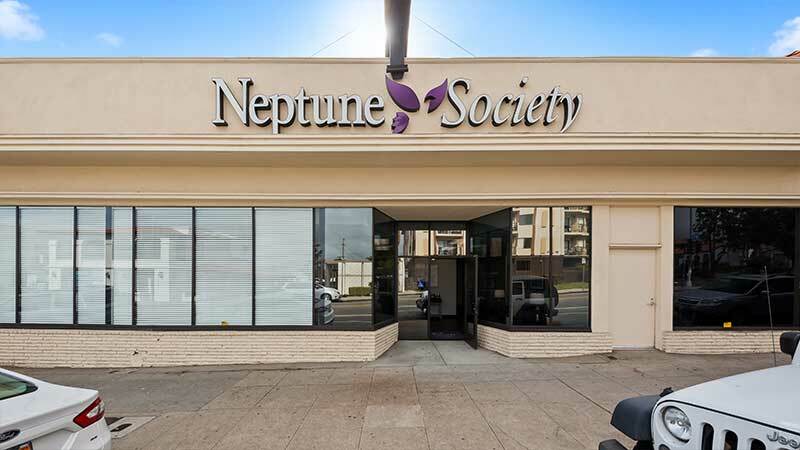 Having had excellent experience with Neptune Society in the past, I contacted the Sherman Oaks office and got immediate information and assistance. Jennifer Robinson, in particular, was very kind, professional, and helpful. I was able to handle all of the arrangements for my sister-in-law with just one visit, accompanied by her children, to settle on the details. The remains and death certificates were supplied within the time frame we were promised. I would recommend the Neptune Society to everyone. The Neptune Society was chosen by my father and mother years ago. My father passed in 2013, and my mother in Feb. this year (2019). I was responsible for handling my parents’ affairs, and I can attest to the efficiency of The Neptune Society in handling our needs in both cases including the timely pick up of the remains. Most recently, my contact was with Wendy Moreno who guided me through the process, and getting the info necessary to procure the death certificates; she got them into my hands very quickly and provided the information on the date and time my mother’s ashes would be available for dispersal. Wendy did her job, was considerate and thorough, and I appreciate the quality assistance she provided. My aunt preplanned her burial with The Neptune Society years before her passing knowing it would simplify everything in terms of what to do at her death. Patrick Martin was exceptionally knowledgable, compassionate and professional in every way. And the followup calls and materials have been through. Jennifer Robinson was incredibly kind and efficient! All my needs were met speedily, and with compassion! Thanks to her a painful process was completed with care and the answers I needed. She should be promoted or given a raise! God bless ALL at Neptune! My husband and I, fortunately, “signed up” for cremation services through This Neptune Society office several years ago. He passed away rather suddenly last month in the hospital. Neptune took care of it all right from that time. 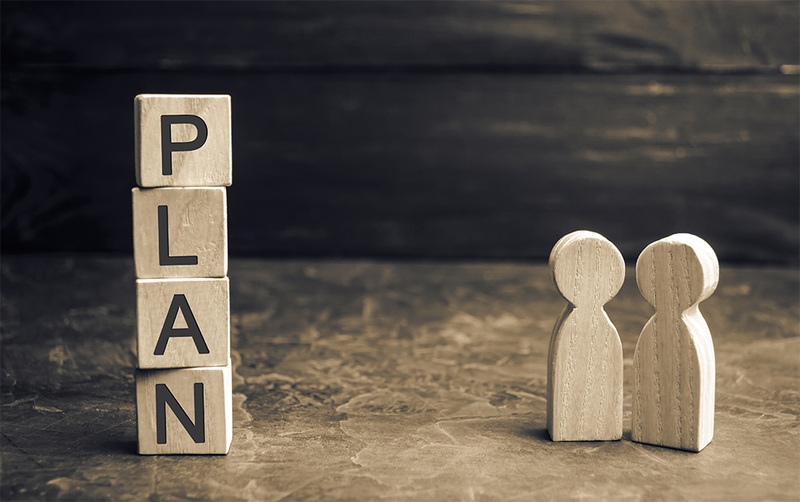 To have the responsive and professional organization at a time like this is invaluable – but it depends on the person that helps you. I cannot thank CAROLYN SIMPSON enough for all she did – I actually don’t remember having to do anything. She called if the information was needed and she called every few days to update us on the cremation, death certificates and more. My friends and family were so impressed that they’re looking at similar services. CAROLYN is such an asset for this company that prides itself on personal service at a difficult time. We sincerely thank CAROLYN for her sensitivity and compassion, her expertise and efficiency. THANK YOU NEPTUNE. The West Covina Neptune Society was so gracious and caring to our family in one of the most difficult times we’ve ever faced. They went far beyond what their normal procedures would call for. My nephew was coming from where he was stationed in the Navy and when they arrived he hadn’t got here yet so they waited 3 hours around the corner until we were all done saying our goodbyes. Then they came back and they were so good to us. My husband and I just signed up For our end-of-life care because we wouldn’t trust it to anyone else. Thank you so much for taking care of our family for so many years. They were very nice and helpful. Always available to answer questions. I would definitely recommend! I appreciate the outstanding customer service that Nicholas and his staff provided on the recent passing of my Mother. The Chaplain and Boat Captain were professional and provided us with an opportunity to honor my Mother with compassion and respect. I have known about the Neptune Society for decades, and I can say that their travel protection plan, in particular, was primary in my choice. 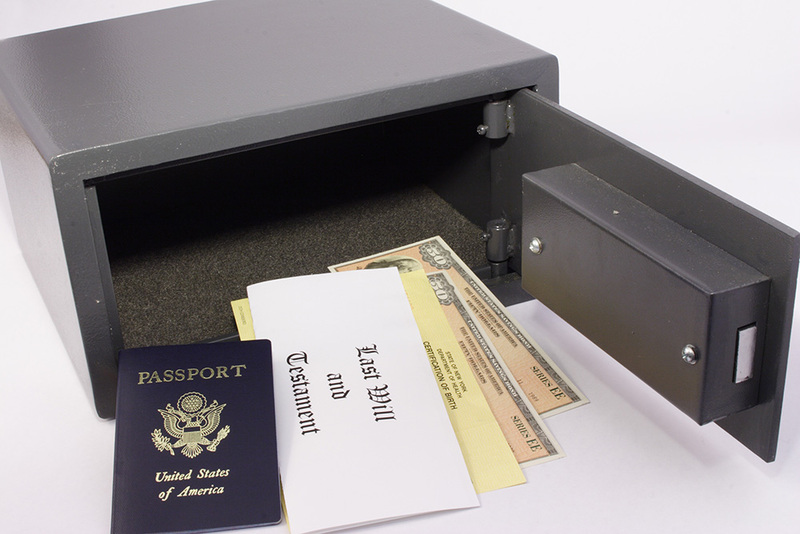 My husband travels frequently for research and business, and I am relieved to know that if he should die abroad, I will be able to retrieve his cremains safely and securely. Knowing that our children will not be burdened with making last minute arrangements for each of us is also a great relief. The pricing of the complete service is very reasonable, the explanation of how the service works is very clear. The representative who helped us make these arrangements (Jonathan) was kind, respectful and very helpful in explaining the service package. Thank you for being there. Darrell Collard and his team at Neptune Society made a very difficult time as easy as possible. The whole concept of Neptune Society is to feel like you have taken as much burden from your family as possible, and Darrell ensured that the concept was a reality for our family. I would recommend Neptune Society to everyone, and especially the respectful and genuine Darrell Collard. Thank you so much! I was treated with respect and they helped me with my loved one my brother with so much comfort. The manager Daisy was amazing and her staff to make sure all my needs were met and cared for. I’m truly grateful to Neptune Society. I became aware of The Neptune Society when I found myself unexpectedly the guardian of an elderly couple who was my neighbors. After seeing how the Neptune Society handled their passing, I (along with my entire family of 7) signed up for their services. My mother passed away this past September 10, and from the removal of her remains to the delivery of her ashes, the Neptune Society has been nothing less than outstanding in service, helpfulness, professionalism, and most of all thoughtful customer service. I would like to give special acknowledgment to Nicholas of their San Pedro office in this regard. Everyone in my family was impressed with him. The Neptune Society is great. Our very special family member passed away, it was so very hard for all of our family. We got a hold of Carolyn Simpson too make the arrangements for our loved one, and she told us to be calm and that she would take it from here, and she sure did! Carolyn did a fantastic job for our family. She was so kind and loving with all of the details. The Neptune Society came and picked up my husband and were very nice. Gave us to time to say goodbye. They were very helpful and gave me all the info I asked for in a timely manner. I have recommended them to others. It was an easy process. I came to know Neptune Society when we were planning pre-paid cremation services for my parents. My dad passed away 7 years ago and that was my first, hands-on, experience dealing with Neptune Society’s promises. I have nothing but praise. Everything was handled very professionally and in a timely manner. Based on my experience, I now have my own pre-paid cremation services. The services that we received from Neptune Society for our mother was outstanding. They provided sensitive and professional services during a very difficult time. Explanations and expectations were clearly communicated which lead to a smooth process. We are very grateful for their assistance and guidance, especially to D. Morrow. She showed utmost professionalism and we sensed her genuine caring in providing dignity for our mom. Thank you very much. We deeply appreciate you. Funeral arrangements are not the type of thing one looks forward to. We had been thinking about the need to do this as we have gotten older and when we came upon the Neptune booth we knew it was time. The couple ahead of us was working on their arrangements after having used Neptune for the family. Their experience was positive and this was definitely a good testimonial. Brandon ** was very professional and made everything clear and simple. We and family now have a peace of mind that when the good Lord takes us home our arrangements on this earth are in good hands. The staff at Neptune Society in San Pedro is professional, kind, and sensitive to the needs of families planning cremation and burial at sea services for grieving families. I had never had to do this kind of thing before and they took pains to make the process as easy and with as little stress as possible. Ana H. was particularly helpful. the arrangement and rearrangement of appointments, your explanation of benefits and your empathy to our sensitive situation, made the experience allowed us to focus on what’s most important to us. My mom died after a short illness and we didn’t have anything really planned. I was told about the San Pedro Branch of the Neptune Society and called them. Ana Hernandez was a wonderful help to us and told us all we needed to know. When we went to retrieve her cremains the staff was wonderful. I highly recommend them to use in your time of need. Thank you very much for the excellent customer service at this very difficult time of life. I worked with Lawrence, and he was so very kind and understanding. Lawrence was also very efficient and has good communication with me the entire time. Thank you again. I would recommend the Neptune Society. Also, advise having things handled before you pass, that way your wishes are carried out perfectly. The employee (manager) I dealt with in West Covina was sympathetic, courteous and very professional. Part of the meeting is to collect payment, yet she did so in a professional manner. She was very articulate with her speech and gentle in her manner. My dad recently passed away in a nursing home after a lengthy illness. After the Neptune Society was notified, they were there pretty quick to arrive and take him….which was a blessing. When they got there to pick him up, they asked if he was a veteran. Because he was, they placed a flag over him as they wheeled the gurney out. Because he was ill and elderly, my father suffered so many indignities during his last few years and by placing a flag over him that way, it was as if it had all been restored. One small gesture meant the world to my family. It was unexpected, and SO welcomed. During the haze of trying to settle into our new normal and figure out “what next,” the folks at the Neptune Society were nothing but helpful. Was it expensive? Sure, but it is a business after all. My parents definitely got their money’s worth. My mom didn’t have to jump through any hoops and was not inconvenienced in any way. It gave us so much comfort to know that everything was being handled professionally. Every “t” was crossed and every “i” was dotted thanks to Ana Hernandez and the folks at the Neptune Society. Carolyn Simpson made everything so simple and easy for us during a very difficult decision. Any questions or problems we had she answered immediately and remedied any issues. We would highly recommend Carolyn for her professionalism and caring during one of the most problem trying times of our lives. My experience with Neptune Society in San Pedro was EXCELLENT! It was a most difficult time for us and Nicholas Kaneshiro was completely professional, compassionate and PATIENT with us! My parents had pre-purchased services and when my Step-father passed away recently, I started the process with Neptune Society. Every phone call between us was pleasant, timely and Nicholas explained everything that I needed to know and answered all of my questions (of which I had many). He updated me during transport, the cremation itself, death certificates, etc. every step of the way. I called him frequently and he was always thoughtful and helpful. Our family opted to go out on the boat for the ash-scattering…the crew was kind, attentive and very professional. My Step-dad is a Marine, so Nicholas also arranged for the Marine Corps.Color Guard to play “Taps” and have a Flag-Folding ceremony to present to my family, at another service we had on a different date, at a private location. It was beautiful and the best tribute and send-off that we could have had for my Step-dad! Thank you to Nicholas Kaneshiro and Neptune Society for all that you have done for our family, in this time of loss and heartache. We appreciate you!!! I am extremely pleased and thankful for the way Neptune Society’s customer service handled my concerns. I had to send them a letter which they replied immediately, followed by a personal telephone call. The representative was very nice and helpful and resolved my matter to my entire satisfaction. I completely disagree with the negative comments I read. I highly recommend Neptune Society to anyone. Thank you very much to Neptune Society! death certificates, etc. The Neptune Society was able to get our family through an unbelievably difficult situation. Thanks again Jennifer. All staff was extremely polite and helpful. Sensitive to the topic yet very professional. Thank you Charles, Darrell and Patty in Ventura for assisting me in retrieving my loved ones remains in such a rushed short notice. Due to the 101 closure I took the train to Ventura and although my plan seemed a little crazy everyone was very supportive and clearly understood how much it meant to me and my family. Thank you again on behalf of myself, my daughter and the rest of the family. Thank you for everything that you did for me after my beloved husband passed away. Each step, you were there and guided me without ever making me feel rushed and you helped keep my anxiety levels at bay. Carolyn Simpson, you are a true gift! My keepsakes are gorgeous and the ash scattering at sea aboard the Neptune II was somber, but a yet glorious day filled with family, friends and lots of love. You have helped and comforted me in more ways than one. Thank you! My father purchased a plan many years ago, and unfortunately, due to the original office being sold, his paperwork could not be located. Mr. ** was amazing in dealing with this challenging situation. I would definitely recommend the Neptune Society – I was very impressed with the level of professionalism and care I received – Mr. ** was wonderful. My experience dealing with Darrell ** of Santa Barbara over the past two weeks has been exceptional. He has been tremendously responsive and helpful in all dealings with my father’s passing. Not only is this remarkable by itself, but this all took place during the Santa Barbara/Ventura Thomas fire. Darrell never missed a beat in the midst of it all. Bought the cremation services for end of life. Sonnie, the salesperson, knew the answers when we asked and was very pleasant during the whole process. It just made sense to go this route when the time is here. So much easier and cheaper also than the casket process. I am very happy of my time with, Bobbi **. She was very kind, compassionate and she explained everything to me in a manner which was easy to understand. She answered all of my questions and concerns which was very informative. Professional, courteous and reverent. 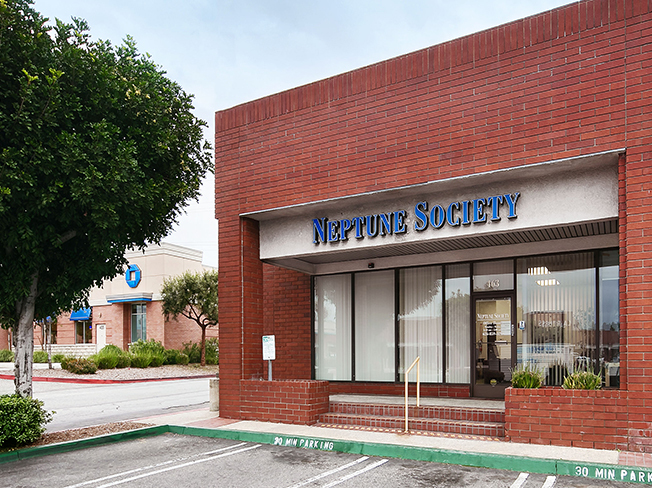 Three characteristics of the Neptune Society in Ventura, that best describes my experience. When Neptune Society of Ventura, was contacted to start the preplanned arrangements for my Best friend Bill, they executed the process with dignity and care. I was most humbled, for the seamless process overseen by Charles. He exercised personal care, of my friend, and followed through, with the family wishes. I had that sense of closure when Charles was there every step of the way. It allowed me to have a day, of celebration and meditation, knowing Bill’s remains were handled with dignity and reverence. Unfortunately the past year has been the most difficult year of my life, I lost my husband to cancer last July 2016 and my father this May 2017. Having to go through this and at the same time maintain a normal happy live for my 14 year old would have not been possible if it wasn’t for Ana Hernandez at Neptune Society! She was comforting, understanding, professional but most of all she did not rush me through the process. She was patient and lent an ear when I just needed to tell someone about my pain and my experiences with my loved ones who had just passed. I am still in disbelief of how the life of my daughter and I have changed but having gone through it I can highly recommend Neptune Society for anyone who needs cremation services. Their prices are incredibly reasonable but most of all their ability to respond to any questions I had and to simply be present and not make me feel like I was just another person coming through their doors is what has meant the world to me. I will definitely use them again when that times comes! Carolyn is absolutely amazing. I lost my grandmother, dad, and aunt all within three months.And she helped me with all three.Not sure if I could’ve did it without her.She is kind, patient and attentive to all of your needs. Carolyn made this transition so easy for my family and she was just a breath of fresh air after having to deal with all of the other things you must deal with. She was always smiling and that helped to ease some tension from me. Tyler was great also, when I walked in today he knew who I was and that was also a very comforting feeling. Thank you Carolyn and Tyler for making me feel at ease when things are not easy at all. The person that helped us was so very understanding and patient with us. My mother in-law died and we had to make a quick decision. My husband’s cousins were very impatient and unkind. The associate at Neptune, Carolyn ** was understanding about our needs. She made a sad time easier to manage. This was our family’s 2nd experience with Neptune Society and while it’s very difficult time, they make it as smooth and professional as possible. Very kind, caring and understanding… No question was a stupid question. Charles went above and beyond and was extremely patient with us. Such a wonderful man… Super warm and professional. Highly recommend the Santa Barbara branch. My mother and sister were very impressed with the dignity and respect that Neptune Society showed my family. Neptune draped my father in the American flag and they were also very solemn and compassionate, which my mom and sister appreciated very much. It was very easy for them to decide what they wanted to do and just get it done. My mother is also on Neptune’s international plan. So, there’s a card that’s been sent to us and we can just call the number on it and everything would be taken care of. The biggest thing for my mom and then for me and my sister now, knowing that my mother is also on their plan, is everything is done. We don’t have to act in this whirlwind of chaos. Everyone was very respectful, thoughtful, and understanding. I could not be happier with the way you have upheld my father’s last wishes with sincerity and dignity. The initial presentation was clear, succinct and done beautifully by Matti **. It was important to us to enroll in the program and Neptune Society made it a simple procedure at a reasonable cost. Thank you. I want to tell the world about my experience of signing up with Neptune. It was fast and easy to sign the papers. I was explained every thing about the procedure and the price and I really liked the idea. So I say thank you Neptune for the opportunity and I will recommend you to others. I wanted to say thank you, and pass on what my mother said about the staff as I unfortunately wasn’t there. She said that they cleaned and dressed my dad, draped him in an American flag, as he was a proud veteran, when they took him out of the house She said they were so kind and so helpful. They took care of everything. Comforting to me that she was not alone and didn’t have to do anything but make a phone call while grieving for her husband. Thank you. My father had made prearrangements with The Neptune Society. He recently passed away in March. Even though I live 1600 miles away, the staff here handled all the arrangements with precision and dignity. They were always available to speak with me if I had any questions or concerns. When I arrived to collect the remains, I received the same excellent service. They truly care about you and your loved one. My father had a prearranged plan with The Neptune Society and when he recently passed, they took care of everything from start to finish. I spoke with a representative just prior to his passing and was informed of what needed to be done to prepare. The counselor that worked with me was professional, courteous and dignified at all times. I was treated with respect and all my questions and concerns were addressed with care and compassion. When I arrived to collect the remains, I continued to be treated with the same excellent customer service as I was when speaking with them on the phone. It was a pleasure doing business with the staff at this office. Thank you! I have to say that Nicholas and Daisy were exceptional in handling our situation, and in handling me in particular. I was upset and not in the best frame of mind, as I’m sure many others also find themselves in after losing a loved one. To make a long story short, both Nicholas and Daisy were absolutely wonderful in taking care of me and helping me through this difficult process. I had requested to witness the whole cremation, and they were both exceptional in helping me through this very difficult, emotional time. Nicholas came down and met me there in person, and both were very caring, warm, and sensitive, just the right personalities to be in their respective positions, I can’t say enough about how wonderful they were to me. I should add that I work as a chaplain for a hospice, so I know something firsthand about being there for people who are hurting . . . but I’m always on the helping side of things. Speaking now as the one who was helped, I can’t express enough how fantastic both Nicholas and Daisy were to me and my family. They were just wonderful. Arranger, John Tays, was extremely helpful and sensitive at a time we were going through a lot of emotional pain. Thank you, John, for your compassion. 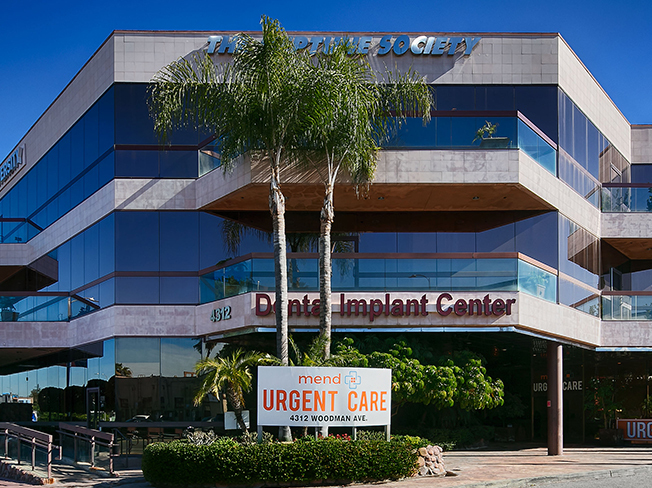 I recently suffered a loss and I have to say the staff at the West Covina office did such an amazing job at making things really easy for me to arrange. Picking up my loved one made it that much easier when they received me with open arms. Thank you West Covina keep up the hard work and thank you for what you do. Personally, I had a great experience with Neptune Society! My wife and I decided to use Neptune Society for our funeral plans, and then my wife got very ill quickly. I tried to speed up a meeting with my rep (unfortunately the new years weekend) but got return calls never the less. They gave me the 800# for the customer service to call, and everything worked like clockwork for me. When my wife passed, I called the number and everything else just happened as it should. The ambulance came and got her, and took her to the funeral home for cremation. The rest of the paperwork went extremely smoothly, and got to order more certified death certificates as well. We chose not to do the private boat, but did go to Ports O Call Waterfront Dining and got to see her boat go out and come back. Charles went out of the way to make the process easier. He hand delivered documents and the ashes. I have used the Neptune Society before with good results and I highly recommend them. I understand how emotional, frustrated, impatient, and sometimes even unreasonable people are when a loved one dies. 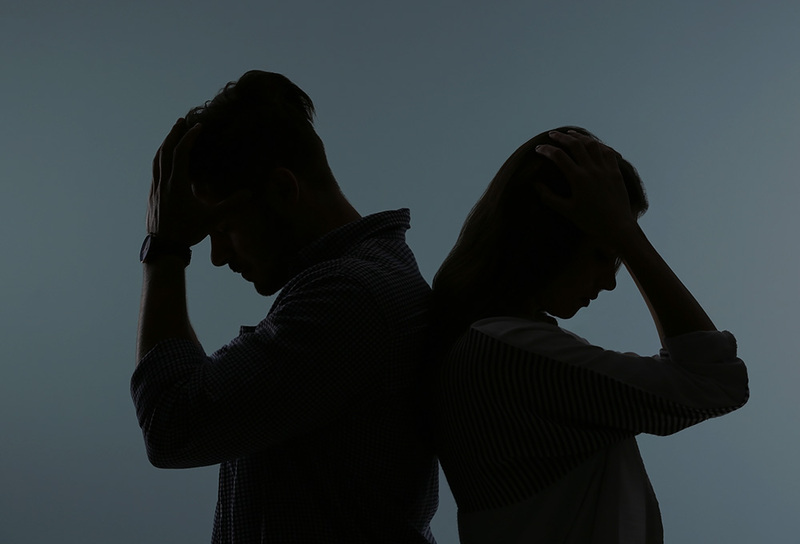 After dealing with doctors, nurses, insurance companies, hospitals, and family members and friends – however well intentioned – it is often when death occurs that the pressure really sets in. I have personally dealt with Neptune Society and got to know several of the employees. It is sad to see the many negative reviews because my experience with this company has always left me feeling that they do truly care and try their best to work with the County and medical offices, both of which can cause delays beyond the control of a mortuary. I’m glad I took the advice of people I know to trust Neptune Society and didn’t just read reviews on an anonymous restaurant review site from people I have never met. I have used the services of the Neptune Society twice at two different periods in the last few years and have had no difficulties at all. I was under no pressure to upgrade to services (urns) I didn’t want and things were taken care of as stated. I was under no time pressure if that was a concern for others. Losing my partner of 23 years was very difficult, especially in a world where there is so much hate. We were afraid to be waving a rainbow flag for that reason so we never married, to my great sorrow. It’s been hard to express my loss while trying to be vague, but a wonderfully sweet & understanding woman named Carolyn Simpson was so nice and never once made me feel like my partner & I’s love was lesser than for any reason. They are very helpful and there are so many lovely options. At first I was looking through the expected Grecian urns, etc and then saw a lovely stained glass lamp, so much like Tiffany lamps she had that she thought so pretty, and I could just feel her standing there pointing at my screen going “”That one!”” They worked out a package for me that let me have the lamp, a small keepsake urn, a basic box for the bulk with a pretty brass plate engraved with a fave song lyric and a nice clipart of a piano with music wafting over it, and finally the small silver heart with a pinch of my true love inside that says “”Always in my heart”” that will be around my neck ’til they carry me out feet first. Thank you, Carolyn! You helped make things just a bit less difficult. My father passed away a few weeks ago, and I wanted to take the time to write about my experience with Neptune Society, especially in light of some of the negative reviews I have seen on Yelp. My parents had paid for the company’s services close to twenty years ago, and I was a bit concerned if there would be any issues. I knew that even the smallest problem could prove horrendous at the time of my father’s death, so when the doctor’s told us that the end was approaching after an illness & decline over many years, we called Neptune Society to find out ahead of time about the process. They informed us that the account was paid in full and in good standing. In fact, if my mother wished, she could have hospice care team from the hospital make the phone call at the time, which they in fact did, saving her the trouble. The two gentlemen who came to collect the body were professional, respectful, and made the experience as palatable as something like this can be. They sat with my mother for about 30 minutes, gently asking her for the necessary information, then set about their work. Everything went as smooth as possible. A few days later, I spoke with Trevor B. at Neptune Society who explained the remaining steps, including the purpose of the death certificates. He patiently walked through each possible situation which would require a death certificate, and helped me to arrive at a reasonable number to order. He also emailed documents to have signed and return, and also sent them by post just to be safe. My father was cremated, and we opted to pick up his remains from the Sherman Oaks office. I arranged a time of day with Trevor, and he was promptly waiting with the death certificates. I am greatly reassured given the professionalism and helpful manner exhibited by Trevor and Neptune Society, especially since I will at some point have to go through this process again for my mother. At times of loss, the emotional toll is so great that any difficulty can appear compounded by grief. I am so relieved that nothing in our dealing with this company and their employees added to what was already a very sad & difficult time for our family. I lost my Father recently and was devastated. Jennifer was so kind and understanding, as well as, the staff. Jennifer smoothed out the bumps along the way and I received the VIP treatment from her. I’m in a stressful situation, with a sibling that can’t conduct herself in a reasonable manner and Jennifer has endured above and beyond with a great attitude. Thank you. Sorry to say but we are a “return customer” after our first family death eight weeks ago. Must say that Carolyn was a pleasure and a blessing to work with. Very attentive and helped guide us through the paperwork and whole process. Thank you for the care, support and taking such good care of our beloved grandmother’s wishes and remains. We had a pleasant experience with Jennifer and I found her to be very kind and sympathetic. We called them, the came and picked up my father in a timely fashion and took care of everything. They were responsive and professional. It did take about a week or so to get the death certificate but we weren’t in a rush. Everything went as it should in a difficult and trying time. After reading the reviews for the Neptune Society, I felt compelled to write mine. My loved one passed on August 30. I called in the early morning hours and Kathy was my contact. She could not have been more compassionate, sensitive and professional to me in a very emotional and stressful time. She was always available to answer my concerns and eager to help. Thank you. Our family has worked with Neptune Society for 3 family deaths over the past 25 years. Most recently in May for the death of our mother, at Neptune Society, Sherman Oaks, California. All the actual cremation services I believe went as prescribed. There was a glitch in communication in dealing with when death certificates were available for pick up. What I am impressed with is how the miscue by Neptune was handled. Fairly, quickly, and respectfully. How a company handles errors and dissatisfied clients is more important than when things go 100% as planned. All organizations have missteps, and how they are handled is more telling than when things go smoothly. I have the highest respect in manager Chris A. at Sherman Oaks, CA and how she listened thoroughly to my frustration and then calmly and adroitly addressed the situation. Sometimes people are brought together for a certain reason. Without going into too much detail, as we were making arrangements with Carolyn and answering questions, it became clear that Carolyn had a lot of empathy for our situation. She gave us tips and advice and really understood our situation. Seeing as this was my first time dealing with cremation and services for a loved one, I would suggest being as involved as possible and as thorough as possible. If you have a question, do not be afraid to speak up and ask! Read everything you are signing. If something seems fishy, don’t sign it. Ask why or change it. I told Carolyn I am always available via telephone and email and boy, she was on it. We talked on the phone everyday. But that gave me peace of mind I needed. The gang at the Neptune Society in Santa Barbara helped my family tremendously through our tough time. Even with our million phone calls and emails weeks after they were still answering and taking the time to make sure we understood. They were wonderful when I lost my mother. One phone call was all I did and they took care of everything. My mother pre arranged so they had all of her wishes and it was all paid for. That’s why I went to work for them a few years ago. You can’t choose how you get here… but you can choose how you leave! Choose Neptune and you won’t be sorry. We used the San Pedro branch of the Neptune Society for my father in August 2013. We did not have a pre-paid plan and everything went smoothly. One phone call, and a few emails and all was done. Edwin Garcia was professional and understanding. The service itself was simple, by our own choosing, but there different options, depending on your needs. I can recommend them, especially Edwin, with no reservations. We had a very good experience during a difficult time. 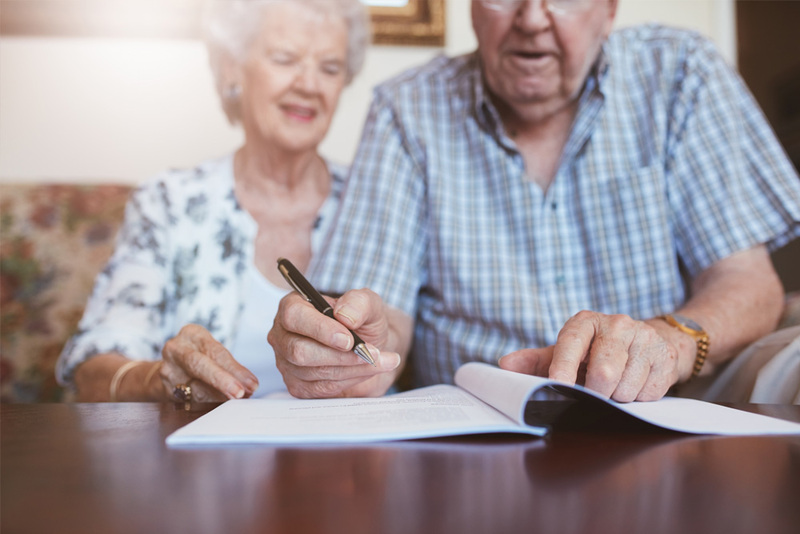 When a loved one passes it is difficult to deal with all the logistics and regulations you face from the arrangements to the finality of the whole process. I run a business and I want to send this note on how professional and responsive Neptune has been during this process. Whenever there was a question or concern a call to our contact was made and if he was busy within a short time he returned the call and answered our concerns or questions. At one point I was made uneasy when I looked on YELP for your phone number and I started reading the reviews. I told our contact this had me really upset and concerned. He told me that things had changed and he assured me he would see that we had no difficulties. Well he was right and responded in any situation with compassion and heartfelt warmth at our time of grieving. But For me, I found the Society people to be very professional and Nydia was exceptionally helpful. I was also somewhat surprised to find out how they work with several cemeteries and that burial at sea is not the only option. It’s not easy to make arrangements for a loved one but I’m so thankful for Nydia and Debbie’s personal attention we received. Nydia and Debbie took care of us from beginning to end and guided us through all the decisions we needed to make. They didn’t forget any of the small details that needed to be taken care of and when we asked for their advice they gave the best recommendations. Really helped with my grandfather’s funeral service. Even let us in to pick up the ashes after hours. Now that’s service! 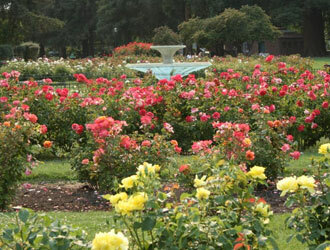 The Municipal Rose Garden in San Jose is a beautiful and lush garden with nearly 200 varieties of 3,500 plantings. The rolling green lawns and bright, colorful blooms make it a picturesque spot to scatter your loved ones’ ashes and say goodbye. You simply need to call them ahead of time and let them know you are coming for a scattering. Mt. 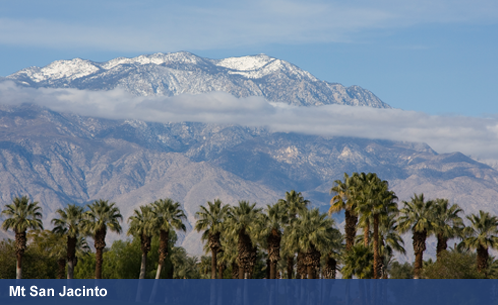 San Jacinto is the second highest mountain range in Southern California. An aerial tram can bring family and friends to the top of the range, where there are panoramic views of the Coachella Valley, to hold a scattering for. The Pacific Coast Ashes At Sea is a 20 year old organization providing families with affordable and unique scattering services. 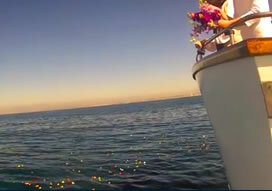 Their services include an Ashes Scattered at Sea option, either by boat or plane. It’s a way to take a sad experience and make it beautiful and memorable. They take very specific requests, and provide anything clients want in the memorials service (music, a clergy, personal readings, etc). 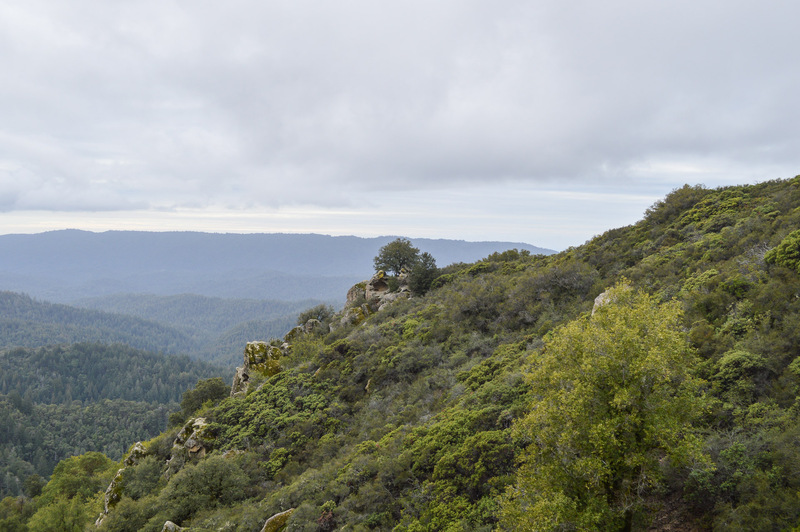 Castle Rock Park, a state park of California along the Santa Cruz Mountains, is an idyllic woodland setting to hold your loved ones’ scattering. The park management does require notice and a permit, and you can hold a relaxing and meaningful scattering. What happens if you can’t pay for funeral services in California? Although state funeral and burial assistance is in decline, there are available resources. To qualify for the California Indigent Burial and Cremation program, the deceased must have no estate from which to pay for a funeral, no family who can afford a service, and be ineligible for assistance from the Social Security or Veterans administration. If these criteria are met, the Public Administrator, or Indigent Burial Officer of the state, pays for a direct cremation of the deceased (the least expensive method). This is why it’s so important to pre-plan. What does the California Department of Aging do? 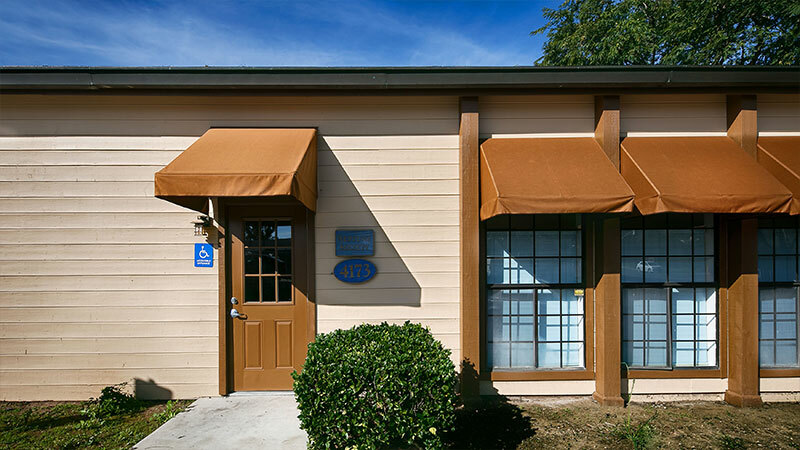 The California Department of Aging administers programs to assist the elderly, disabled, family caregivers, and residents of long-term care facilities. The CDA has services in all communities across California including transportation assistance, physical therapy, health care advising, activities, caregiver support, senior employment programs, and more! How many funeral homes are there in California? There are 760 funeral homes in 375 cities of California. Bonus Fact 2: California is the largest state in the country by population at 38 million people. 1 out of every 8 Americans is from California. Bonus Fact 4: California is home to the world’s first McDonald’s in 1940. Bonus Fact 5: San Francisco Bay is the world’s largest landlocked harbor.